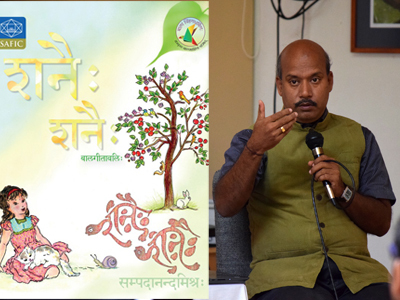 Dr. Sampadananda Mishra, Director – Sri Aurobindo Foundation for Indian Culture, has been conferred the Bal Sahitya Award 2018 by Kendra Sahitya Akademi, New Delhi, for his book ‘Shanaih Shanaih’, a beautiful illustrated book of Sanskrit poems for children. The Sahitya Akademi, India’s National Academy of Letters, is an organization dedicated to the promotion of literature in the languages of India. Sahitya Akademi Bal Sahitya Award is a literary honor in India which Sahitya Akademi annually confers on writers of the most outstanding children’s books of literary merit published in any of the major Indian languages recognized by the Akademi.